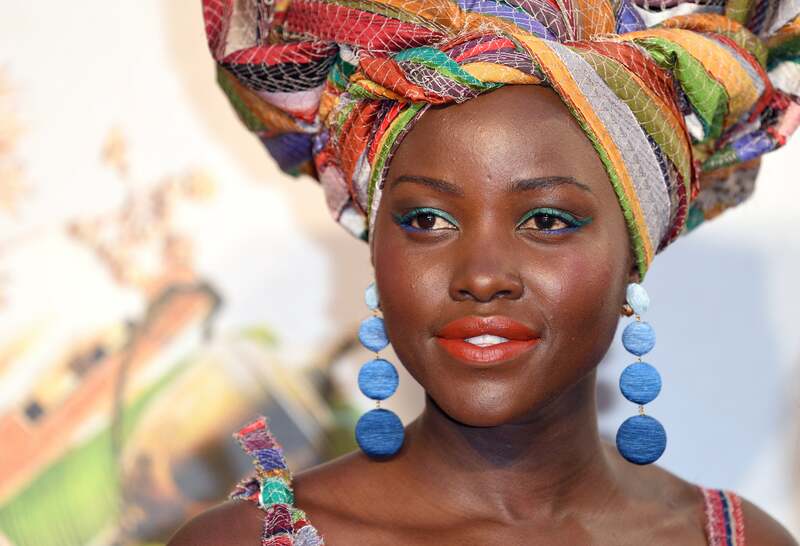 Lupita Nyong’o’s Queen of Katwe press tour gifted us with a handful of breathtaking red carpet moments, most of which included a poppin’ hair accessory. The 33 year old has donned a head wrap for nearly every appearance, but not without a little help from her glam squad. Earlier today (October 10), the Academy Award winning actress marked the end of her whirlwind promotion by sharing a collage of every single look, styled by her trusty hairstylist, Vernon Francois. “That’s a wrap! Crowned by@vernonfrancois #Queening,” Lupita captioned under the barrage of head wrap moments. Francois, who recently debuted a line of luxury products for textured hair, is also the beauty guru behind her second Vogue cover, which he told us was directly inspired by the Uganda-set film. Nyong’o and Francois’ longstanding collaboration includes stylist Micaela Erlanger and together, all three have contributed to these unforgettable “crown” moments. We look forward to the next phase of her red carpet journey! Continue to bask in all of this Black girl magic!